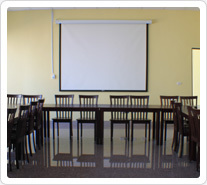 Shanban Bay’s conference room is one of the most innovative equipment meeting rooms on the island. The conference room occupies a total of about 50 pings. It can accommodate at least 70-90 people. The meeting room has natural daylight as well as built-in screen, projector and air conditioning. With professional, flexible service, we offer everything required to make your meeting a success. ServiceWe do offer the service for ordering desert. *Reservation is required. 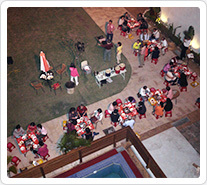 Please using the online booking form or call +886 8 8613300. 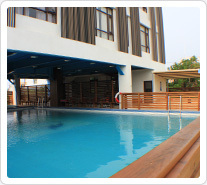 The depth of an adult pool is 90 to 130 cm, and the depth of children pool is 50cm. Item 1For you safety, swimming is only allowed during open hours. Item 2December 1st to February 28th or 29th will be closed. Item 3Only swimwear (suit and cap) allowed. Item 4We do not provide any swimming equipment and gears, please feel free to bring your own personals. Xiao Liuqiu’s sunset is famous since Qing dynasty. Its stunning sunset is one of the eight Fengshan’s scenes. Many poets and writers applaud its sunset. 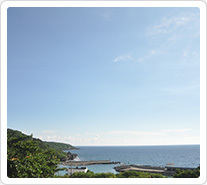 Shanban Bay Inn is situated at western of Xiao Liuqiu and overlook the Shanfu Pier from the lodging. Therefore, standing on the Shanban Bay Inn makes your horizon wider, and it is the best location of sunset view. Our grilling menu was created from our own tried and true recipes. We use the fresh produce, meats and seafood throughout out menu. 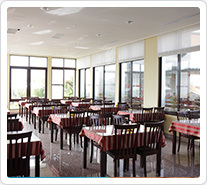 At the grilling place, you can enjoy a gentle breeze, sparkling stars, and pleasant music. Item 1Barbecue after 21:00 are not permitted. Item 2	Grill ingredient is not suited for vegetarians. Vegetarian meals are supplied by set meals.